Among the elderly population, loneliness and isolation are widespread. Thanks to modern technology it’s possible to contact anyone, anywhere, at any time. However, despite advances such as smartphones, social media apps, and the internet, research is showing that, as a society, we’re lonelier than ever. Seniors in society are even more susceptible, but there are things you can do if you’re worried about an aging parent. Seniors are more at risk of feelings of loneliness for a number of reasons. Their social circle is shrinking as friends pass away, family members start families of their own and people move away. There are often mobility, illness, and transportation issues making it difficult for them to get out of the house. 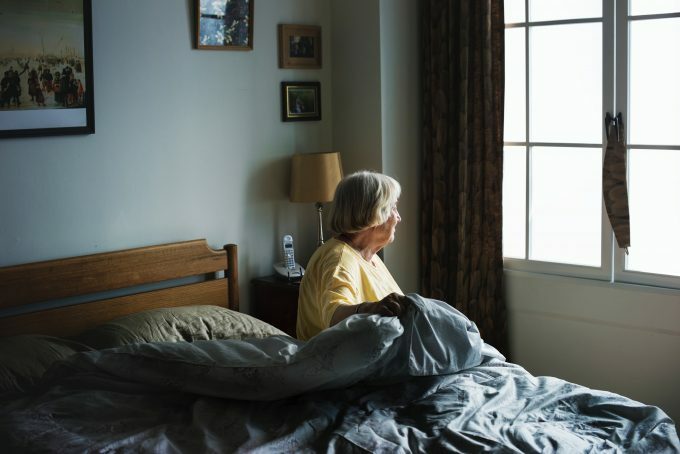 Loneliness can have severe consequences for aging parents physical and mental health, so here are some tips so you can help a loved one overcome their isolation. Listen More – Listening is sometimes the best thing you can do to help a person struggling with loneliness. Being there to listen is going to make them feel less alone. Encourage them to Start a New Hobby – The best way to keep a brain active is to learn something new. Encourage your parent to take up a new hobby because it will help them stay active and meet new people. Find out whether there’s a book club, knitting circle, supper club, yoga classes or something else they might be interested in learning. Keep in Frequent Contact – You might already be calling your mom or dad every month, but you’re bound to have time to get in touch more often than that. Just ten minutes is all it takes to put a smile on their face. Make calling a regular thing and do it often. Check Out Community Resources – When a parent is retired, it can be easy to fall into a rut. Try to encourage them to go out more by finding out what community resources are available. In an urban or suburban area, there will be plenty of activities they can take part in. With opportunities to connect and make new friends, they might find a new lease in life. Consider In-Home Care – When an aging parent is unable to take care of themselves as well as they used to, you should consider in-home care. As well as helping an elder look after themselves, they also provide companionship. To find out more, don’t hesitate to visit inhomecare.com. Introduce Volunteering – Volunteering can provide a number of benefits, both physical and mental. It keeps the brain active and promotes physical activity. Research has shown that taking part in meaningful activities lowers the risk of dementia and physical health problems. Getting your aging parent out of the house and into the community is another significant benefit. Get them a Pet – Caring for a pet has both physical and mental benefits. Not only will it make their home feel less empty, but it has also been shown that pets trigger chemical reactions in the brain that reduce cortisol levels and increase the production of serotonin. Aging is a fact of life; it’s something that can’t be escaped. There are ways you can make it better for your aging parent – if you’re prepared to put in the effort.